We’d love your help. 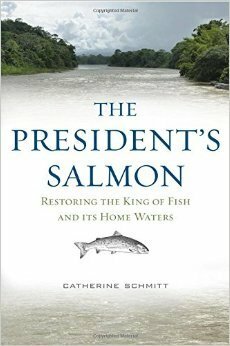 Let us know what’s wrong with this preview of The President's Salmon by Catherine Schmitt. To ask other readers questions about The President's Salmon, please sign up. Well crafted and researched history of Atlantic salmon in Maine from late 18th century to the present. A must read for anyone interested in Maine history told from the point of view of a watershed, the Penobscot, an extraordinary fish, and the competing cultures of industry and conservation. Catherine Schmitt is communications director for the Maine Sea Grant College Program at the University of Maine, where she teaches in the Department of English. She writes frequently for magazines, newspapers, and journals.